I enjoyed a little hand made retail therapy on local (NZ) site Felt and bought two items from seller SweetWilliam.When they arrived I was delighted they were even better in life than in the photos. 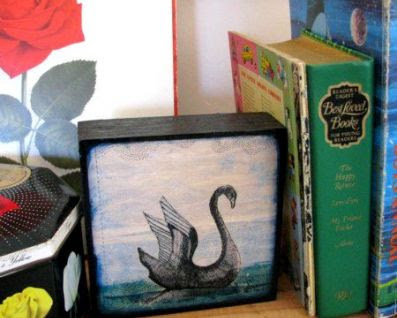 Swans are hard to beat as a romantic image and who doesn't chuckle at the kitschy images of Old Lizzie in her finery. 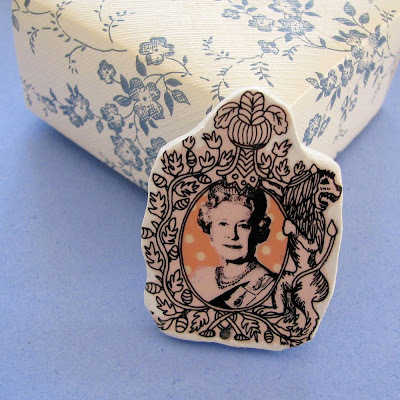 Lovely block-mounted prints and printed clay brooches using images of teacups orchids and birds are some of the best items and very affordable- go on spoil yourself, you won't be disappointed!